Big data in psychiatry can offer substantial benefits for the treatment of patients and comprehension of their disorders. In the current era of rapid technological advancement, digital data is being collected at a previously unprecedented rate. A study by Monteith and colleagues indicates that two and a half quintillion bytes of data are generated every day, and that nearly 90% of all the data available today has been created in the past two years.1 While data has been an essential source of knowledge throughout world history, the digital age has established immense possibilities for its management and analysis. As in other fields, big data management in psychiatry presents a good opportunity for research and exploration. Clinical trials are often not as useful as those in other healthcare sectors because they are often incomplete, unavailable, or inconclusive. 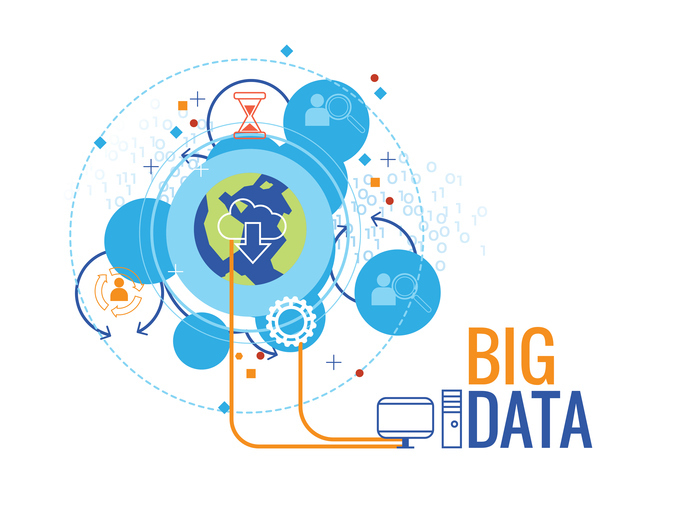 In these circumstances, big data could immensely aid in the management and analysis of observational data, one of the core information sources in the field. Complex analysis of this data might be able to help in establishing new clinical distinctions between cases and symptoms, as well as various phenotypes. Improved understanding of phenotypes could in turn increase comprehension of the variety present in psychiatric diagnoses, and the role of genetics in specific cases. In summary, big data is already being used in psychiatry for many different purposes. Velocity of data acquisition continues to be one of the key challenges, because most data is updated on a periodical basis and there are not many real-time options available. It should also be recognized that as big data gains a more prominent role in psychiatry, issues of governance and security will need to be clearly considered, and that there must be a thorough and open public dialogue on ethical issues.5 However, big data in psychiatry can offer substantial benefits for the treatment of patients and comprehension of their disorders. It would benefit psychiatry professionals to recognize the potential of such ever-evolving technological advancements, while also being careful to preserve high standard of professional demeanor, as well as the traditional doctor-patient relationship based on trust. 1. Monteith S, Glenn T, Geddes J, Bauer M. Big data are coming to psychiatry: a general introduction. International Journal of Bipolar Disorders. 2016;3(21):1-11. 2. Passos IC, Mwangi B, Kapczinski F. Big data analytics and machine learning: 2015 and beyond. The Lancet Psychiatry. 2016;3(1):13-15. 3. Raghupathi W, Raghupathi V. Big data analytics in healthcare: promise and potential. Health information Science and Systems. 2016;2(3):1-10. 4. Grunebaum MF. Suicidology meets “big data”. The Journal of Clinical Psychiatry. 2016;76(3):383- 384. 5. Stewart R, Davis K. “Big data” in mental health research: current status and empirical possibilities. Social Psychiatry and Psychiatric Epidemiology. 2016;52:1055- 1072. Close more info about Big Data, Big Psychiatry — Big Potential?